I've been away from home for work and this blog has been neglected for a while. This neglect is probably going to continue over the next month or two, but hopefully I can squeeze in updates like this one every now and then. 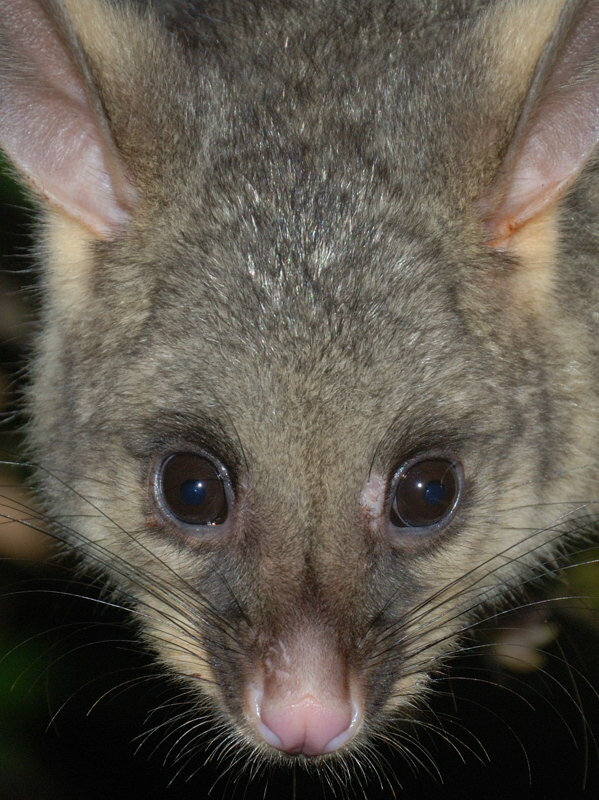 Kiki, Flea, Marlon, Pinot, Svejk and Wasabi are all still visiting regularly, and have recently been joined by a new male possum who we have named Wesley. Grendel returned briefly. She [After reflection, I'm calling Grendel a her rather than trying to use gender-neutral language. Female pythons are fatter than the males and Grendel was noticeably plumper than the other python which visited.] descended from the roof down into a tree while Svejk was nearby. Svejk must have been aware of her, but didn't show any sign of it. It's as if he was saying "A tiny little snake like that isn't a threat to a big fierce possum like me. If it annoys me, I'll pick it up and floss my teeth with it." Soon afterwards, Svejk went into the tree right next to Grendel and started puffing loudly. 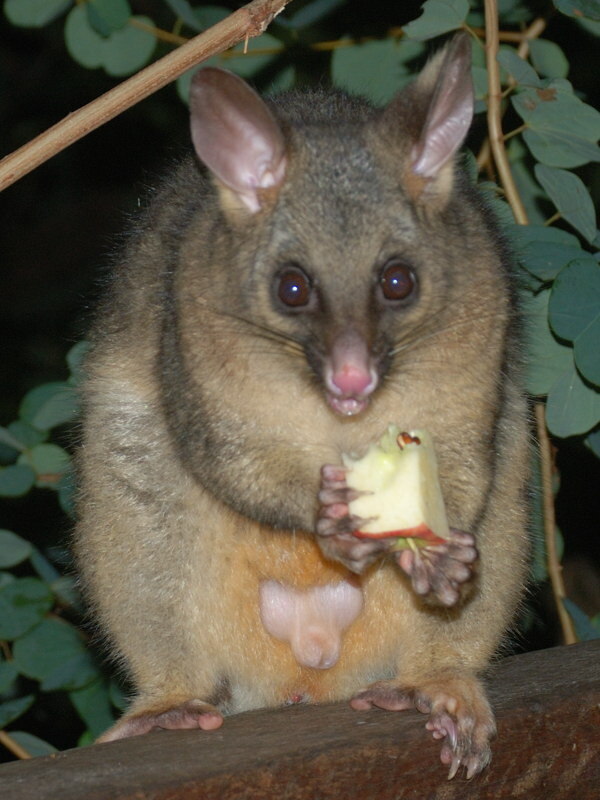 It was as if he had decided "I suppose a snake like that might be a problem for smaller, weaker possums, so I might as well warn them about it." That night, Flea, who had been coming regularly for her medicine, delayed her visit for several hours. 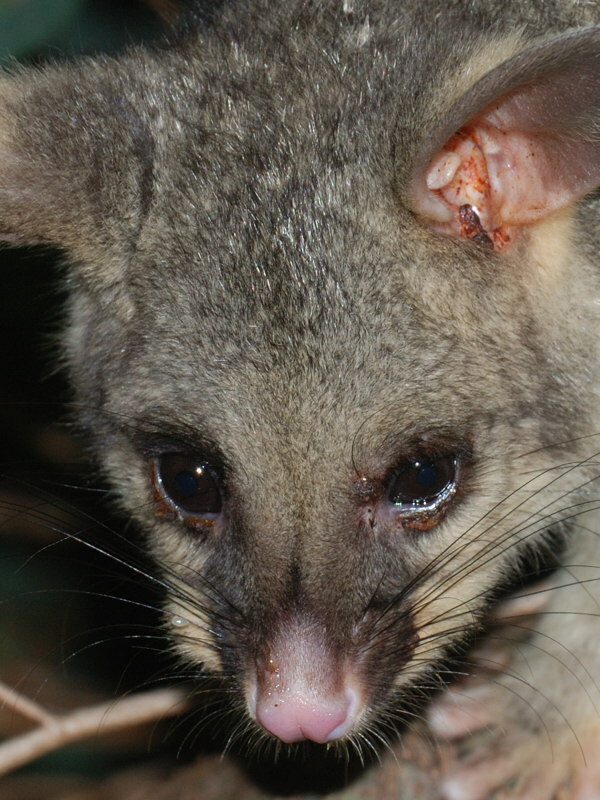 I haven't ever read anything about brushtail possums warning each other about dangers, but it really looks like this is what was happening. Since then, Flea has been cured of her exudative dermatitis. It took almost a week for there to be any noticeable improvement, but after that she got better rapidly. Pinot has been pursuing Flea. 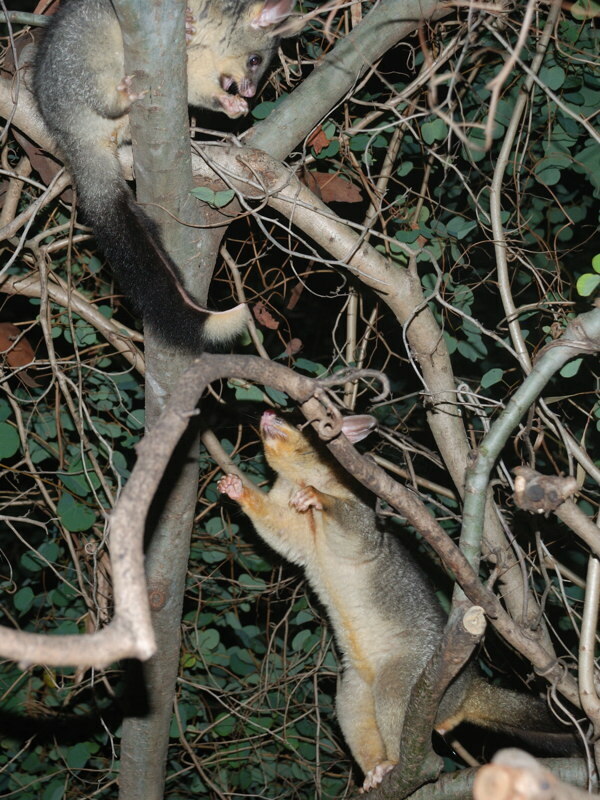 One night Pinot, who was in the tree below Flea, reached up and gently grabbed the white tip of her tail. It seemed to fascinate him. It was like he was saying "Wow! you've got an amazingly beautiful tail!" Surprisingly, they were very friendly about it. 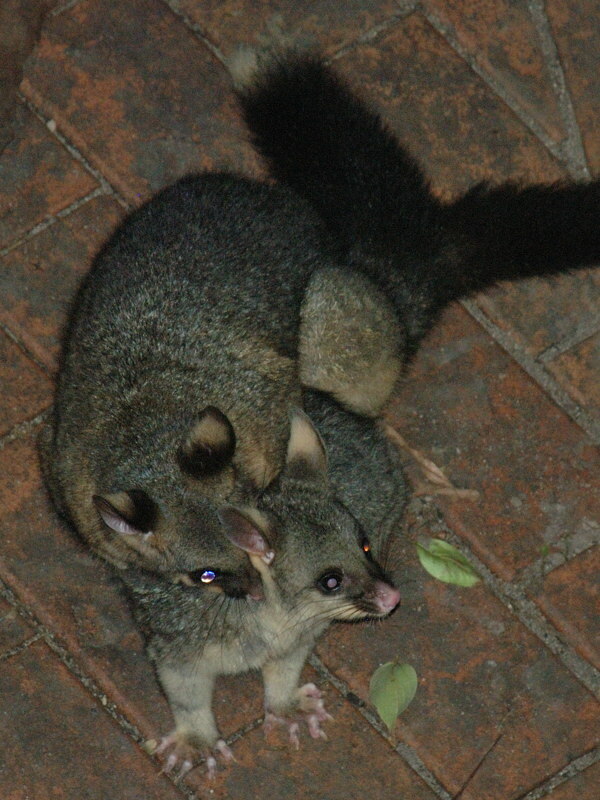 Normally, when brushtails meet, they shriek at each other, chase each other around, and try to scratch each other in the face, so you'd think that mating would be a noisy and boisterous business but here they didn't shriek or fight at all. Could you please contact me by email or post a followup to confirm that you are a human being. I am a little suspicious because you have posted a very generic comment and a link to an unrelated site. I *really* don't want to discourage people from commenting on this blog. It's perfectly acceptable to comment on "old" posts like this and I don't mind people posting links to relevant sites either. However, I don't want this blog to become a junkyard full of spam or part of someone's link farm.